Bachelor Degree (S1) in Accounting with minimum GPA of 3.00 for PTN and 3.25 for PTS.. Required experience for minimum 1 year in the related field. Fresh graduate are welcome to apply. Placement in Jayapura (preferably domiciled in Jayapura). Bachelor Degree (S1) in Architecture, Civil Engineering with minimum GPA of 3.00 for PTN and 3.25 for PTS..
Placement in Wilayah 7 Papua (preferably domiciled in Papua). JobsCDC.com now available on android device. Download now on Google Play here. Please be aware of recruitment fraud. The entire stage of this selection process is free of charge. 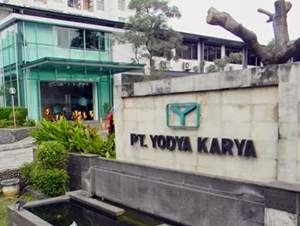 PT Yodya Karya (Persero) - Accounting Staff, Operational Staff YOKA January 2018 will never ask for fees or upfront payments for any purposes during the recruitment process such as transportation and accommodation.